The App Store has a lot of serious, business apps to its name, apps that try to expand the capabilities of your device in new ways. Sometimes, however, you are not in the mood for all that and need an app that is simply a bit of fun, and that is where The Million steps in. 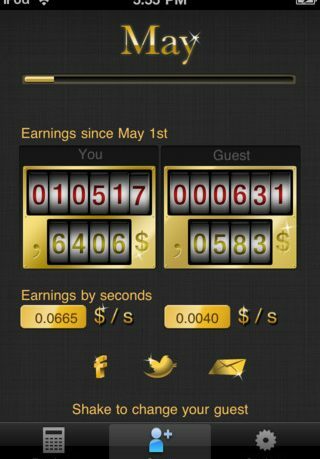 The Million is an app that lets you see how much you earn every second. You submit your annual salary, and you can then see how much you actually earn every second, minute or even per hour. You can then use this information to compare how well off you are with other people. You can compare how well you are doing per second against celebrities, your friends and other famous people with a clever little counter that tracks how much you are both earning. 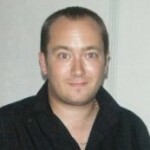 You can track over a selected period of time by dollars per second or total amount. It is really cool to see your earnings keep totting up while you watch – especially if you happen to be having a day off work! 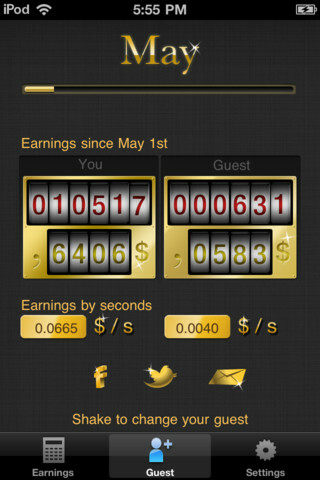 You can share your results via Facebook, Twitter and Email to show all your friends how much you earn per second. It is a nice extra feature that will keep you coming back to the app. Overall, this is a great idea that is presented in a really nice way. Probably the first of its kind on iPhone, this is well worth a look.